BOSTON—October 8, 2018—InAuth, the device authentication and device intelligence experts, today announced that the company’s next-generation technology has received the prestigious bronze award from the Golden Bridge Awards® in the Information Security and Risk Management Innovations category. InAuth’s technology delivers deep device intelligence capabilities to authenticate, reduce fraud risk, remove customer friction, and help organizations around the world maximize their digital transactions taking place through mobile apps, mobile browser, and desktop browser. 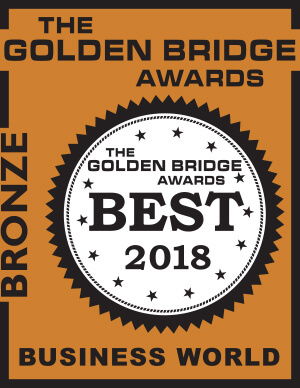 The annual Golden Bridge Awards program recognizes companies of all sizes for achievements in innovation, product deployment, marketing, communications and other categories. Winners will be honored in San Francisco on October 29, 2018 Red Carpet Awards Gala in San Francisco during the annual Red Carpet Golden Bridge Awards Ceremony.